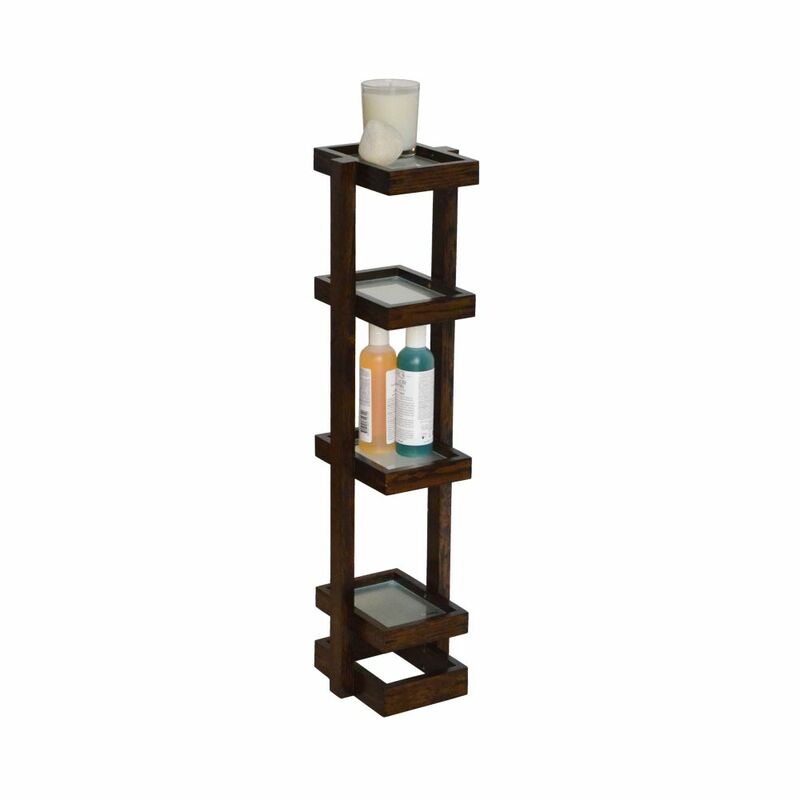 A compact, contemporary design featuring four frosted, tempered glass shelves that combine elegantly with a solid oak, dark-stained oak or engineered bamboo frame to provide the perfect solution for your storage needs. Shelves are cleverly staggered to provide optimum storage space and will harmoniously accommodate a broad selection of different height containers and bottles. Mezza washstand goes neatly into small slots where more conventional solutions would not work. Finished with a water-resistant lacquer, comes assembled.